Membership is easy if you love Chicken Burgers like we do. To join our growing network of worldwide burger reviewers just take a snap, write a review and fill in the form below - and we'll take it from there! What? Did you think it would be harder? Nope. So get to eatin' n' writin' fatty. We can't wait all day. Include your address in the "Anything Else" field to receive your free supply of Cluck Cards! What's a "Cluck Card?" we can hear you thinking (chickens have great ears #truefact). It's a card that you write your total review score on and then leave behind on the table when you leave. 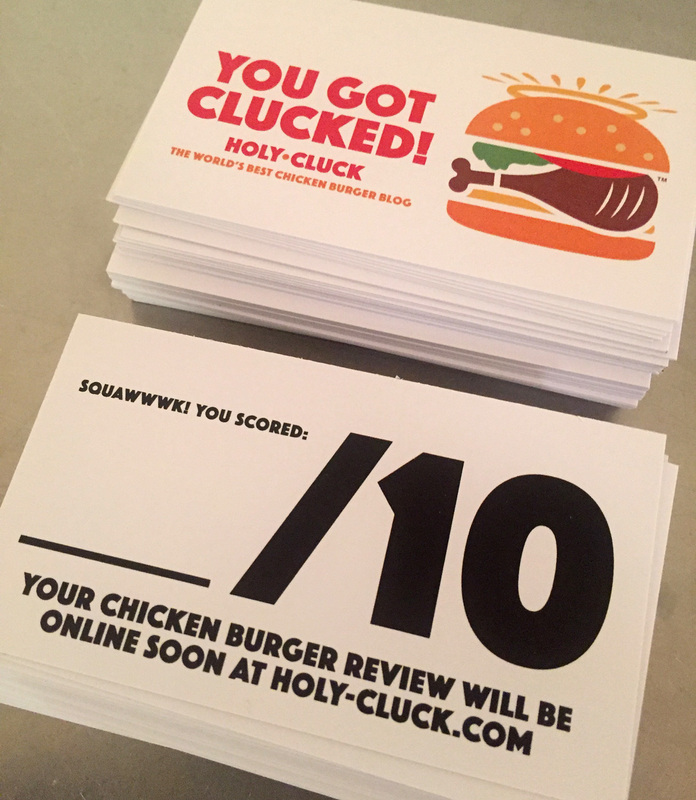 Cluck Cards are a great (and fun) way to let purveyors of chicken burgers know how they rate - and of course, spread the Holy-Cluck.com love. Get you some!